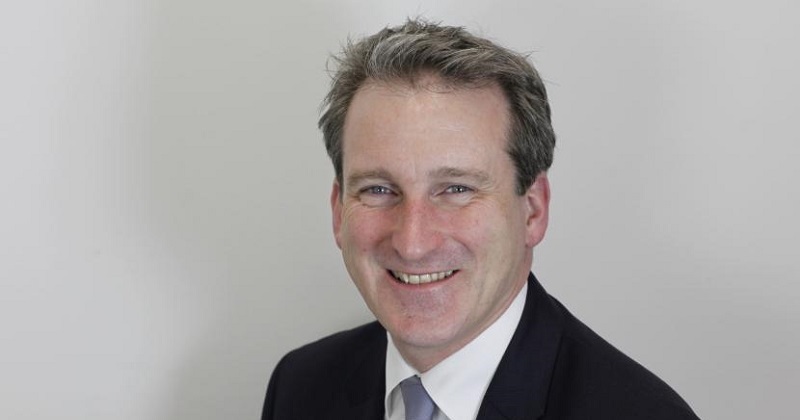 Damian Hinds has “welcomed” the Federation of Awarding Bodies decision to drop its legal challenge against the government’s implementation of T-levels. In his reaction to the news that was revealed by FE Week this morning, the education secretary promised to “continue to have constructive discussions” with exam boards to make technical education “better for the sake of the next generation”. The FAB withdrew its threat of a judicial review today after the government watered down its rules in the procurement process for T-levels and offered to “reset the relationship” with the awarding sector. Mr Hinds (pictured) labelled the legal action, which questioned whether the government has acted lawfully in its plans for introducing the new technical qualifications, as “deeply disappointing” and “unnecessary” when it was first announced last month. Speaking today following FAB’s U-turn, he said: “I welcome this decision and commitment from the Federation of Awarding Bodies to support T-levels and work with the government on their development. “Awarding bodies will be key to upholding the quality of our reforms to technical qualifications. “With a rapidly changing world and a big productivity challenge, we have a pressing need to raise our game on technical education. Legal action from FAB posed a huge threat to Mr Hinds’ plans for a rollout of T-levels, and would have almost certainly delayed their 2020 launch. The federation said today that after weighing up the “continued value” of pursuing a judicial review, the “board does not believe that issuing a claim in the High Court at this time is the most optimal way of settling our concerns”. Awarding bodies first warned of a legal challenge last month following two market engagement events about the procurement process which left organisations enraged at the commercial terms they’d have to agree. Its judicial review was going to be based on three grounds: irrational (timescales), unreasonable (lack of proper engagement on the single-provider model) and unfair (has a disproportionate impact on the awarding sector). But the government then partly conceded to the demands of awarding organisations by easing up on a number of rules in the T-levels procurement process. These include allowing them to co-brand student and employer facing materials, something the department said was impossible at the market engagement events. Many fear the tight timescale for delivery will negatively impact learners in the first wave.